The new Peugeot 508 changes everything. Its structure is more compact and its height reduced. The new exterior design is sharper and more robust, while the car’s spectacular interior includes an evolution of the iconic Peugeot i-Cockpit®. 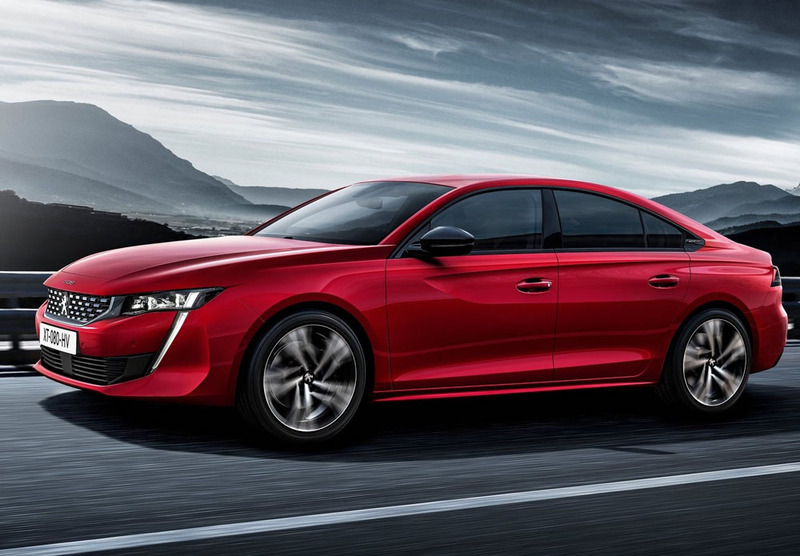 Its exemplary road-handling, new engines, countless technology features and quantum leap in quality means the new Peugeot 508 sets a world class standard within the D-segment and further supports the Brand’s upmarket strategy. In the European market, the traditional D-segment saloon has been stagnant for the last four years, after more than a decade of decline. Under pressure from a diverse range of customer preferences and designs, especially from the SUV market, the large saloon now only finds favour through offering wider variety and adopting a more pronounced identity, . It was against this backdrop that the designers behind the new Peugeot 508 stated their clear aim: to move away from the conventional boot-lid, four-door shape and towards a five-door fastback coupé-saloon. 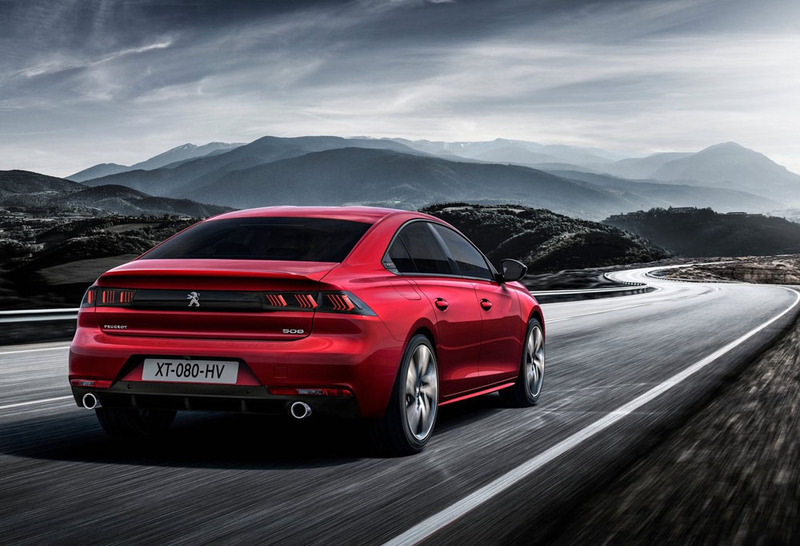 At first glance, the new Peugeot 508 surprises onlookers with an energetic and expressive presence. The car’s height has been reduced – it now barely reaches 1.40 m – and the aerodynamic lines of the vehicle are reminiscent of the coupé style. The front end is impressive, even aggressive. The finely fashioned, radiator grill with chrome-plated chequerboard asserts itself between the Full LED headlights, inspiration for which was drawn straight from the brand’s latest concept car: Peugeot Instinct. 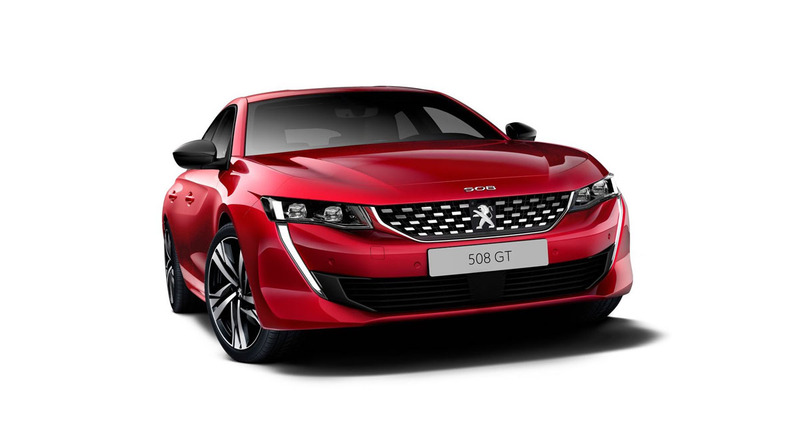 With the famous lion centred on its radiator grill and the 508 logo upon the nose of the bonnet, the new Peugeot 508 pays tribute to its acclaimed predecessors, the Peugeot 504 and 504 coupé. The vertical visual signature of the opalescent LED daytime running lights provides a distinct, exclusive identity. Sharp and slender, they frame the car’s front end, running from the headlights to the bumper’s air intakes. The horizontal bonnet has been lowered as much as possible to enhance the dynamism of the new Peugeot 508 and the overall silhouette has been designed to appeal from every angle. This attention to bodywork design is usually reserved for the most premium of vehicles. All of these standout features at the front of the new Peugeot 508 culminate to give the car a real sense of quality and character, all of which are perfectly aligned with modern Peugeot design language. The roof line of the new Peugeot 508 is low and sleek, following the premium sector design cues. 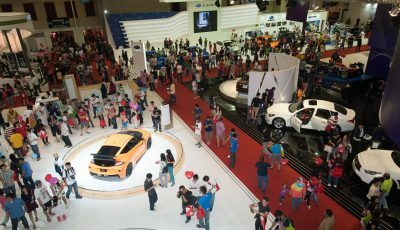 The car appears compact: its length is limited to 4.75 m, vs 4.83m of the outgoing car, for improved manoeuvrability. The low glazed surfaces further sharpen the car’s outline and reveal frameless doors. Nothing spoils the model’s silhouette: there is no conventional overlap of the bonnet, glazing support and door frames; gap and flush-fitting have been reduced in size with first-class know-how; the wheels have been adjusted to perfectly fill the wheel arches; and the roof aerial has been removed (now silk-screened). Peugeot has utilised its expert knowledge to maximise the car’s aesthetic appeal and quality. Spanning the rear end and framed between the rear lights is the glossy black horizontal strip that now characterises Peugeot’s latest vehicles. Yet what immediately stand out are the three-dimensional Full LED rear lights. Taken straight from the design of the most recent Peugeot concept cars and first seen on Quartz, these lights, which are illuminated throughout the night and day with adaptive intensity, make the coloured claws constantly visible. To further impress, these iconic lights will differ in appearance depending on side or full rear view. They are instantly identifiable and a clear signature of the brand. The back of the car also reveals an original feature of the new Peugeot 508: a deftly hidden tailgate that blends elegance with practicality and gives optimal access to the 487-litre boot. Stepping into the new Peugeot 508 is like entering another world, one focused on quality and originality. 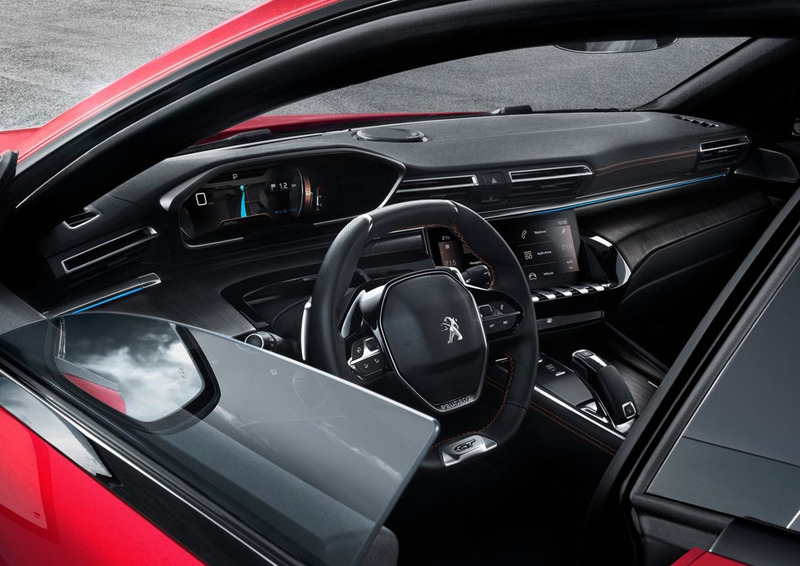 The eye is immediately drawn to a spectacular, resolutely premium instrument panel and the latest version of the exemplary Peugeot i-Cockpit®. Since it first appeared in 2012 on the Peugeot 208, the i-Cockpit® has evolved as new models have been introduced to the range. 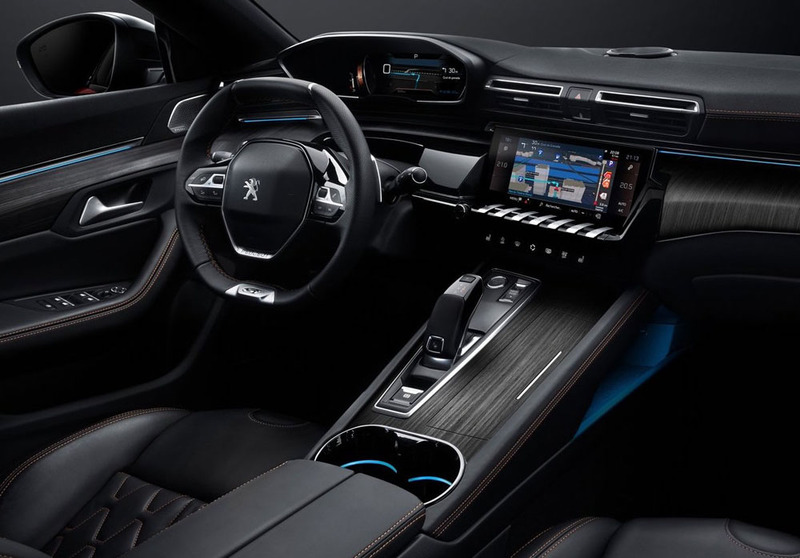 From the Peugeot 2008 SUV to the Peugeot 308 and the latest SUV models, the Peugeot 3008 and 5008, three generations of the Peugeot i-Cockpit® have already made their mark as major benefits in the lion brand’s offerings. Entirely configurable and customisable (six different display modes), the head up display unit is positioned above the steering wheel and presents all the necessary driving information within the eye line of the driver, reducing the need to take their eyes off the road. The central touch-screen is perfectly incorporated into the instrument panel, at approximately the same height as the head-up display unit. The capacitive touch-screen comes in an eight-inch version on the introductory trim level, Active, and a ten-inch HD version on the Allure trim level and above. It is accompanied by seven toggle switches resembling piano keys that are remarkably well integrated into the panel’s body and give direct, permanent access to the main comfort features: radio, air conditioning, navigation, vehicle settings, telephone, mobile applications and i-Cockpit® Amplify. Clearly visible on the centre console, the eight-speed automatic gearbox lever is electrically powered with one-touch control. 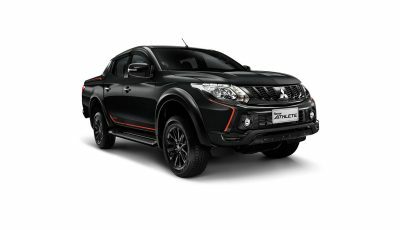 Its design further underlines the driving position’s modernity and, with the steering-wheel paddles, helps to enhance driving pleasure. The i-Cockpit® Amplify feature also controls the car’s driving performance, with the driving-mode selector (ECO/Sport/Comfort/Normal), as well as damping in the vehicles equipped with electronic suspension. This driving position is unique, providing stimulating, intuitive driving pleasure every time you enter the vehicle. Use of the EMP2 platform, which is undoubtedly one of the best platforms today, providing great dynamic qualities and weight-reduction (on average, 70 kg less compared to the previous generation), improving fuel efficiency, safety and performance. Introduction of a new body-welding technique strengthened with 24 m of structural adhesive, providing greater rigidity and a guarantee of better durability. Adaptation of a multi-link rear axle linked to variable-damping controlled suspension – Active Suspension Control (as standard on GT version and on all petrol engines; as an option on 2.0 L diesel engines). Settings for road-contact style, adapted for each engine to guarantee the best level of ride comfort and damping over uneven surfaces. Calibration of the electric power-steering to ensure a compromise between smooth and firm handling for all driving situations and to provide outstanding manoeuvrability. 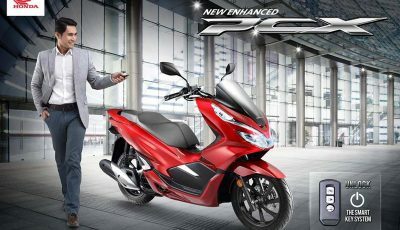 Widespread introduction of reliable, modern automatic transmission through use of the new eight-speed EAT8 automatic gearbox which has an electric gear-lever with one-touch control. All features of the Peugeot i-Cockpit® and its compact steering-wheel, ensure a sensational driving experience and breath-taking performance! This new Peugeot 508 is an invitation to high-end travel. The choice and quality of materials in the trim and upholstery, and the attention paid to the finish, envelop the passengers in a soft, modern, refined environment. For this reason, the driver’s seat (and passenger seat from Allure Business trim and above) achieved the AGR (Aktion für Gesunder Rücken) label, rewarding both its ergonomics and range of settings with lengthwise adjustment and seat tilting, as well as lumbar support (four-way electric pneumatic system). This is available as an option from Active trim. They are also available with eight-way electric settings, with two possible memorised configurations. The wraparound front seats are also both available, as an option, with an eight-pocket pneumatic massage system, with five different massage programmes. Furthermore, there is plenty of storage space – up to 32 litres! – spread out around the passenger cabin, as well as many sockets (four USB sockets to charge portable devices are available from Allure trim and above, one jack plug in the armrest and two 12V sockets, including one in the boot). The wide-opening panoramic sunroof is in a spoiler style and for the car’s premium audio system the brand has once again chosen FOCAL®, the acclaimed French acoustics firm. This on-board experience is also enhanced by interior detail that heightens perceived quality and the modern feel of the passenger cabin. The choice and rendering of materials, and the careful assembly of all components, are hallmarks of luxury saloons: such as full-grain or Nappa leather, satin chrome, black lacquer, Alcantara®, authentic wood (Grey Oak on the GT Line or GT, or Zebrano available on the GT only). This standard of excellence is also evident in the car’s many comfort and safety features. The original Night Vision system uses an infra-red camera and detects living beings in front of the vehicle at night time or in low-visibility conditions. The system ensures detection within a 200-250 m range, beyond the headlights’ scope, with central display of the infra-red vision in the digital head-up display unit, in the driver’s field of vision. When driving in towns and cities, the driver also enjoys aids for certain manoeuvres, like Visiopark 2 (360° vision) and the latest-generation Full Park Assist, with the Flankguard perimeter feature (only available with the EAT8 automatic gearbox). The system automatically controls steering, acceleration and braking to enter a parking space. Mirror Screen feature compatible with the Android Auto, Apple CarplayTM and MirrorLink®, with off-board voice-recognition via smartphone. The Peugeot Connect pack includes 3D connected navigation with TomTom® Traffic and extends the possibilities offered by new technology into three fields: navigation, safety (Peugeot Connect SOS & Assistance) and maintenance (Peugeot Connect pack remote services). Whether in the car’s architecture, the NVH (noise, vibration and harshness), the optimisation of dimensions, weight reduction, aerodynamics or the drive train, everything has been done to reduce CO2 emission levels to the lowest they’ve ever been. The new Peugeot 508 enjoys the new-generation Euro 6.c PureTech and Blue HDi engines (with extended SCR technology) for best-in-class CO2 emission levels. These levels of performance are all the more remarkable as they take into account new technical provisions and the WLTP procedure, which seeks to harmonise test approved consumption levels and customer-usage consumption levels.